Las Vegas rockers and indie goths to headline the main stage alongside Stormzy, Kylie and Janet Jackson. The Killers and the Cure have been announced as the final headliners of the 2019 Glastonbury festival. Brandon Flowers’ Vegas band will headline on the Saturday, and Robert Smith and co on the Sunday. They join the previously announced headliner Stormzy, who will close the Pyramid stage on Friday night. 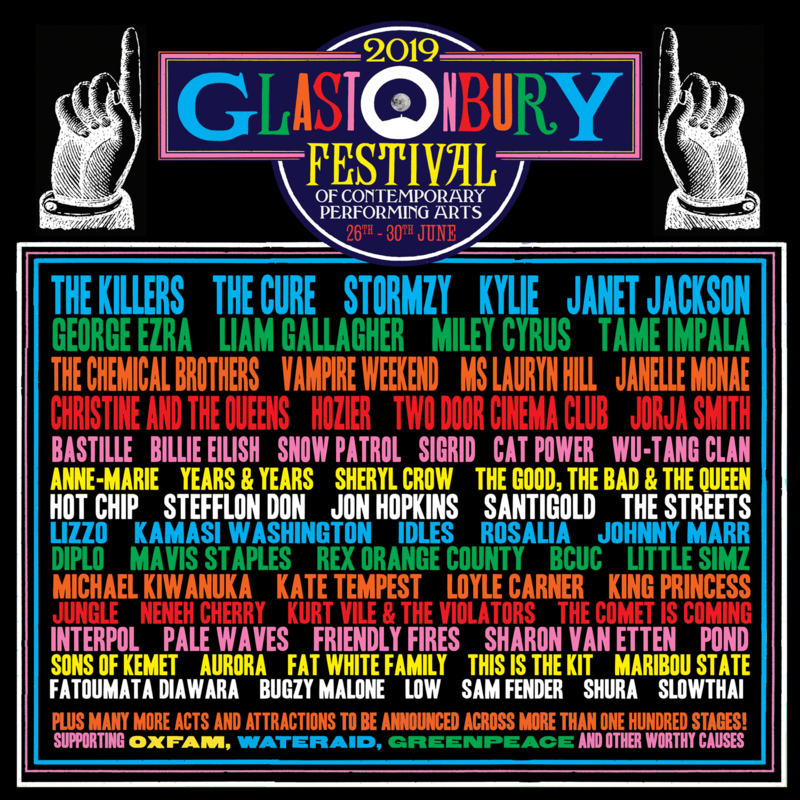 The star studded lineup also includes George Ezra, Liam Gallagher, Miley Cyrus, Tame Impala, The Chemical Brothers, Vampire Weekend, Lauryn Hill, Janelle Monaé, Christine and the Queens, Billie Eilish, Hozier and Wu-Tang Clan. Take a look at all the acts on the bill below. Glastonbury’s always been supportive of rising stars too. Che Lingo, iiola, LIINES, Marie White, Roma Palace, Shunaji, Swimming Girls and YAMAYA. A lot of great new music on the rise on this playlist.